A dog sits beside a baby by a fireplace, wagging its tail. A woman begs for money from the nursemaid when she is out with the child, shaking her fist when she is refused. When the nursemaid stops to talk to a soldier the beggar woman steals the child baby out of her pram, hiding the child under her shawl while the couple's backs are turned. The woman runs off unnoticed, while the couple walk with their arms round each other, pulling the empty pram. Back at her employer's house, the maid tells her mistress what has happened. Falling to the floor she begs for forgiveness. The child's mother visibly distressed comforts the maid. The dog, until now seated on a chair near his mistress, leaps out of the window and runs through the streets to find the baby. Rover swims across a river to find the street, where he looks in each one until he finds the beggar woman's abode. She has taken the baby's clothes off and laid her on the floor of her empty home. When Rover enters the woman shoos him away. Running back through river and streets he returns to the house where he retrieves the baby's father, who follows the dog on foot and boat back to the beggar woman's house. Rover pushes the door open and the father gathers the baby up in his arms, pushing the woman away. Cursing, she takes a drink from her bottle and lies back down. The child is returned to her mother and the family embrace. Fitzmahon achieves a more 'cinematic' rather than 'theatrical' treatment of narrative, by cutting action for sequential effect rather than staging scenes and acts. The film centers around the first British movie star, a collie called Blair. Hepworth recognized the value of the cult of personality in later films. Blair also features in Dog Outwits the Kidnappers (1908). Hepworth and Co. was renamed the Hepworth Manufacturing Company in 1904. Hepworth stopped directing films, handing over responsibility to others such as Fitzhamon, who had taken over as 'Stage Manager' from Percy Stow. Stow had left to form the Clarendon Film Company. Fitzhamon left Hepworth in 1912 to form Fitz Films, but not before he had directed hundreds of films, including That Fatal Sneeze (1907). Date: 1951 Autobiography by Cecil Hepworth. Date: 1996-1998 All five volumes of John Barnes’s archaeological study of early cinema charts its development between 1894 and 1901. Barnes founded the Barnes Museum of Cinematography with his brother William in the 1960s. The collection provided primary material for Barnes’s study of early cinema. Date: 1973 Volumes 1-4 contain material on Hepworth and his films. Holds copies of many Hepworth films. BFI National Archive, copy kept on file SASE 950000. 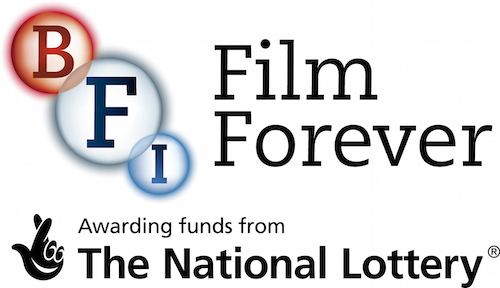 BFI resource providing biographical overview and film synopses. Provides biographical overview and further reading. Website dedicated to the life and work of Cecil Hepworth, includes information on his ‘film stars’, such as Alma Taylor and Chrissie White.